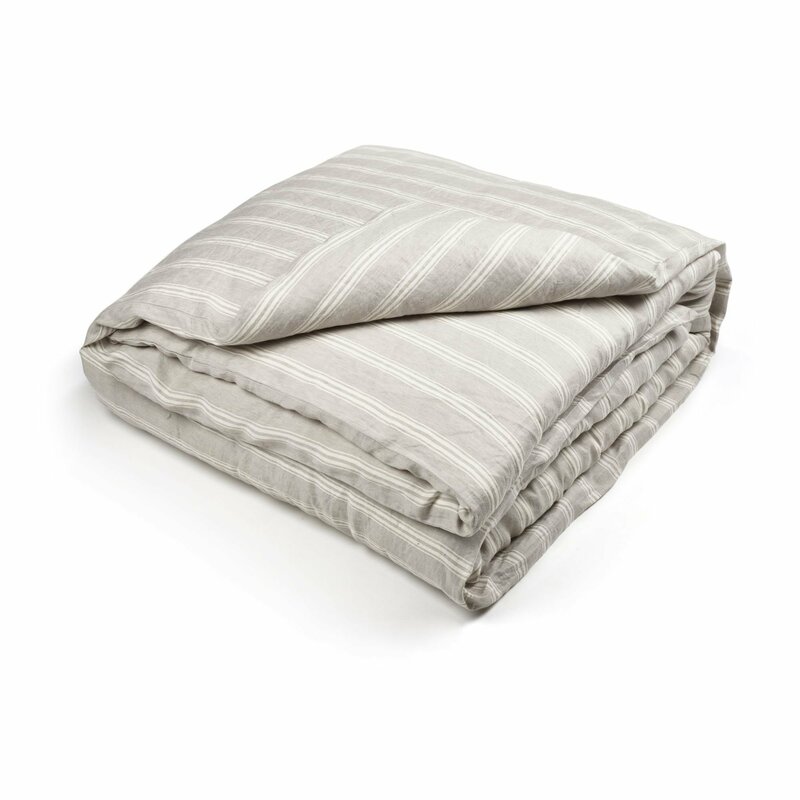 This medium weight, tightly woven twill is Libeco’s quintessential stripe fabric in top of bed. 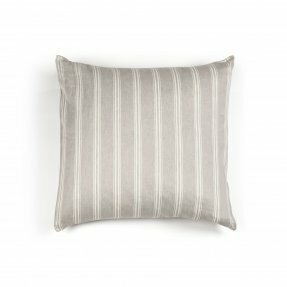 This one has 1-inch oyster stripes, sitting on a light grey ground. 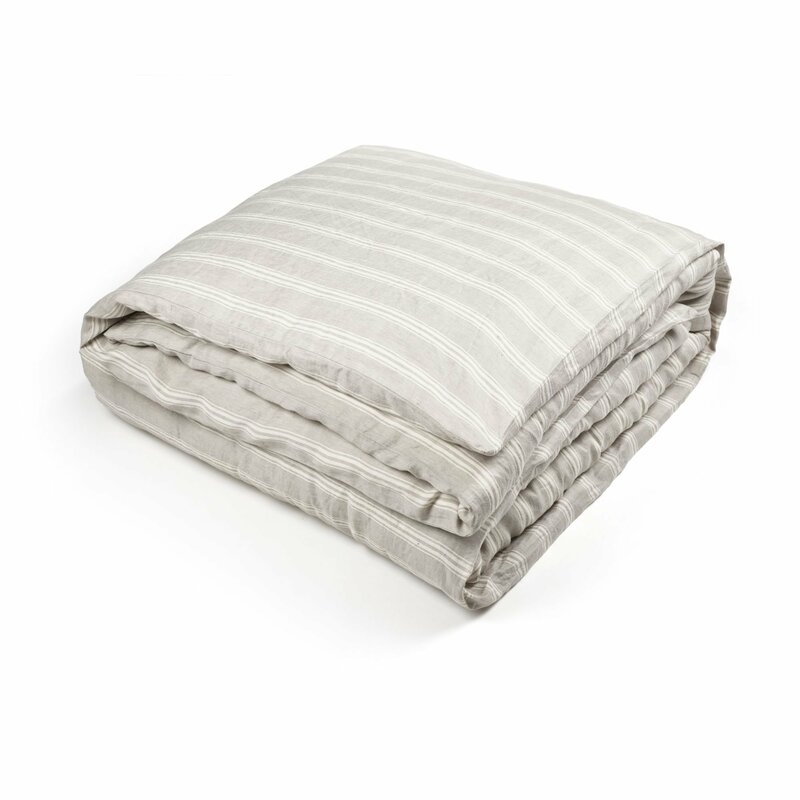 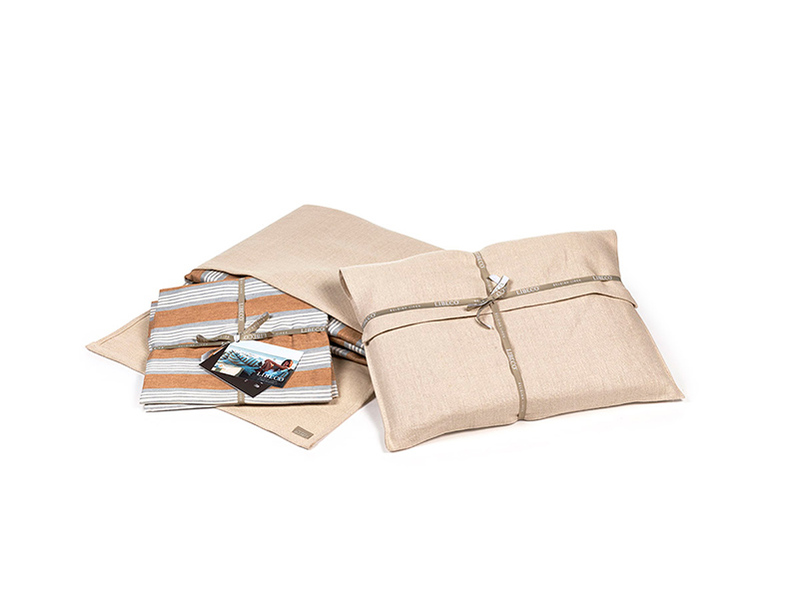 This duvet cover is extremely soft because of the washed finish and will guarantee a good night’s rest.